Latoya Botteron serves as chief financial officer (CFO) and oversees human resources. Botteron joined the Central Indiana Corporate Partnership (CICP) in 2010 as controller and was promoted to vice president of finance and human resources director in 2012. Botteron has served as CICP CFO since 2013. Prior to joining CICP, Botteron served as audit in-charge for Katz, Sapper & Miller in Indianapolis and served on the audit team for UHY Advisors in Albany, New York. 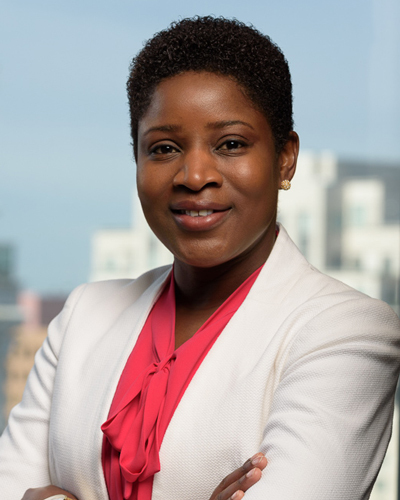 She is a Certified Public Accountant and holds a bachelor’s degree in accounting and business from State University of New York College at Plattsburgh. In 2018, she was named by the Indianapolis Business Journal (IBJ) as one of its CFO of the Year Honorees.